The elegant wines from the Adelaide Hills are shaped by the coolness of the region’s altitude, its distinct seasons and the quality and passion of its winemakers. There were vines planted in the Adelaide Hills as early as the 1870s but due to the challenges of cool-climate viticulture in those early days, most vines were removed by the 1930s. The rebirth of the Adelaide Hills region began in the 1970s and gathered momentum with the increase in popularity of cool climate wines in the 1980s and 1990s. While still considered a young wine region, the Adelaide Hills has been recognised around the world for many years for its exceptional Chardonnay, Pinot Noir, Sauvignon Blanc and Shiraz. The Adelaide Hills Wine Region includes all areas of the Adelaide Hills that have an elevation greater than 300m. Elevation has two major impacts on grape growing; temperature and rainfall. The cooler climate defines the Adelaide Hills providing a point of difference to other South Australian regions that has allowed it to develop its own identity and reputation as one of Australia's most exciting wine regions. Passion, innovation and the ideal climate mean that the talented winemakers of the Adelaide Hills are also pioneering the emergence of new varieties and aren't afraid to push the boundaries to expand the possibilities for fine Australian wine. Cool climate grapes do not ripen as quickly, resulting in lower natural sugar and therefore higher natural acidity. The wines are often described as being more subtle or refined. The industry has seen a shift towards these lighter, more elegant wines. According to The Lane Vineyard winemaker Michael Schreurs the shift is due to a natural maturing of the Australian palate to enjoy more “elegant” wines that sit better with food. 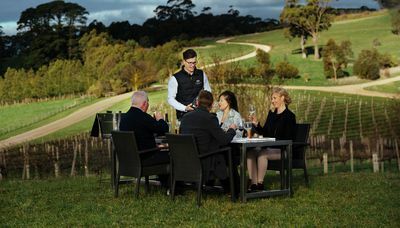 On The Lane Vineyard's 360 Hilltop Experience discover some of the best examples of the Adelaide Hills cool climate varieities with a 'Gathering Indulgence' wine flight immersed in the heart of the vineyard with 360° views from the Hilltop lookout. Embark on a sensory journey through a curated tasting of our Occasion and Heritage wines. Taste seven of The Lane's premium cool climate wines in varietal glassware, carefully matched to tempting tastes from the chef and delivered to you in the vineyard. The annual Adelaide Hills' Winter Reds Weekend takes place this year from 28th to 30th July and is the ideal opportunity to learn more about this cool climate mecca. 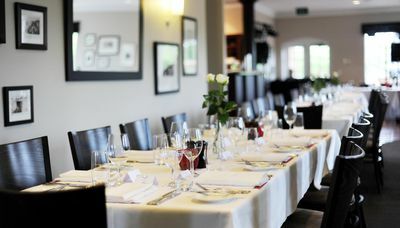 The Lane Vineyard will host a long table degustation unearthing the mystery and celebrating the elusive luxury of truffle. Join Australia's expert for a 5 course degustation, exploring the evocative qualities of this beguiling ingredient, coupled with finest seasonal Adelaide Hills' produce and surprises from Italy's most scenic region. Call 08 8388 1250 to book. Throughout the weekend, pop into The Lane for some 'Après-Ski' - Defrost with hearty winter fare, mulled wine and DJ tunes at the pop up 'Chalet Bar' or warm up with a world-class wine experience in the Tasting Room over a vertical flight of some back vintage treasures.